Set up notifications when your time budget reaches a certain percentage of the estimated budget or the due date approaches. 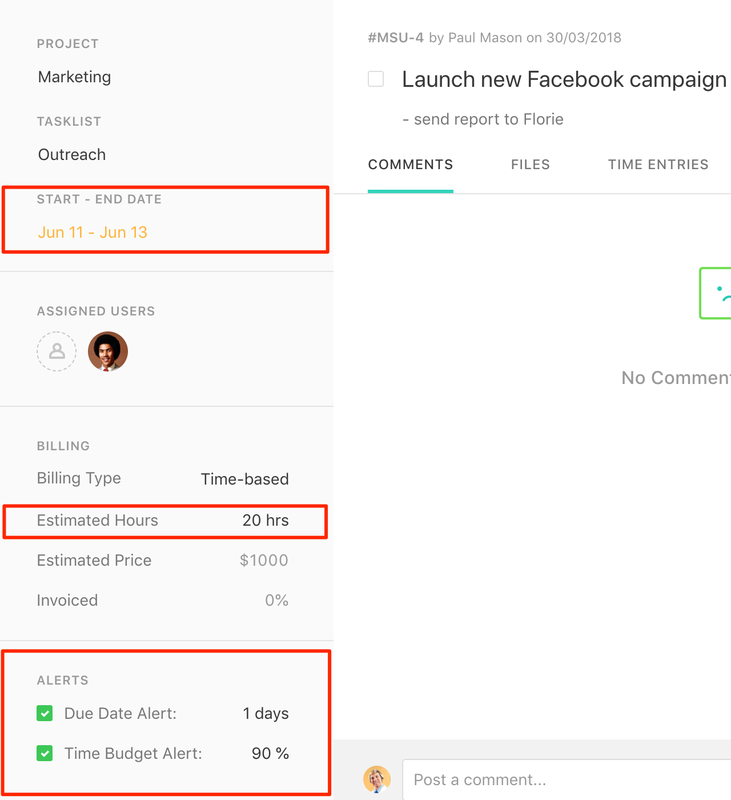 When creating or editing a project you have the option to set a time budget and select to receive a notification when the tracked time reaches a certain percentage of the estimated budget. The email notification will be sent to the project managers of the project. You can set a time budget reminder on a task level as well. Just need to hover over a task → Full task details → Set a time budget, set the time budget alert percentage. There's also a Due Date Alert option you can select to be notified a couple of days before the task due date. Emails will be sent to the assigned users and the project managers.